BATTLEFORWORLD – April 5, 2018: Osteoarthritis is becoming a widespread problem especially among adults over a certain age and effective long-term treatments or a cure in the United States, etc. is non-existent. For temporary relief, lasting months, for osteoarthritis pain and inflammation, individuals are often treated with cortisone injection, which after so many treatments is avoided because the treatment does “not heal the structural damage” of the underlying pain that is affecting the joints, and long-term use can cause problems. In Europe two of the longtime go to temporary pain relief treatments for joint site area are Gerovital H3 and Alflutop which are not approved in the United States by the FDA, but is widely used in parts of Europe like Romania, Russia, etc. Alflutop appears to be the most promising because it actually addresses the structural collagen damage that contributes to joint pain and stiffness. 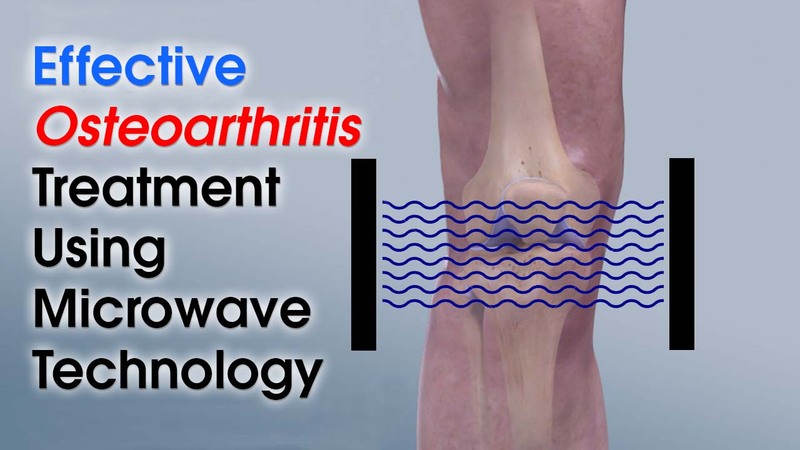 In waiting is an effective treatment at some future time using microwave, where the target area is treated with deep heating. A study was published by the NCBI and myorthoevidence using this promising and effective treatment and later curing technology. The latter will require technology refinement of the microwave.